Quotations about Being Made Fun. Quotes to stimulate mind and drive action! Use the words and quote images to feed your brain inspiring things daily! I'm human. 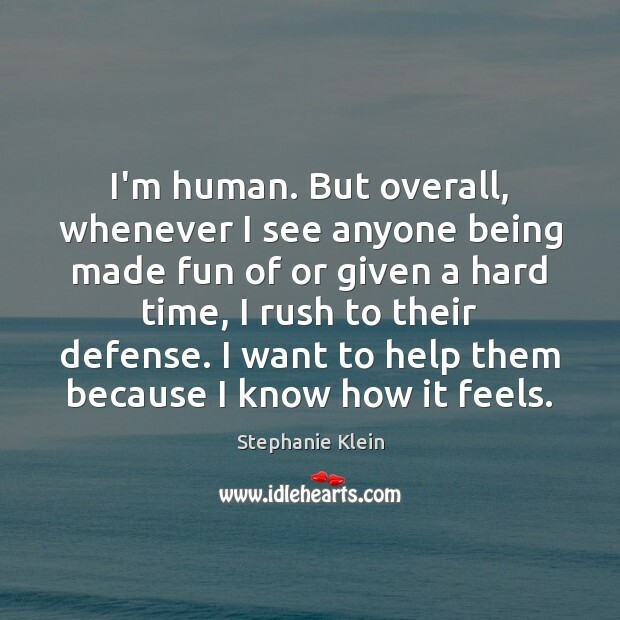 But overall, whenever I see anyone being made fun of or given a hard time, I rush to their defense. I want to help them because I know how it feels. 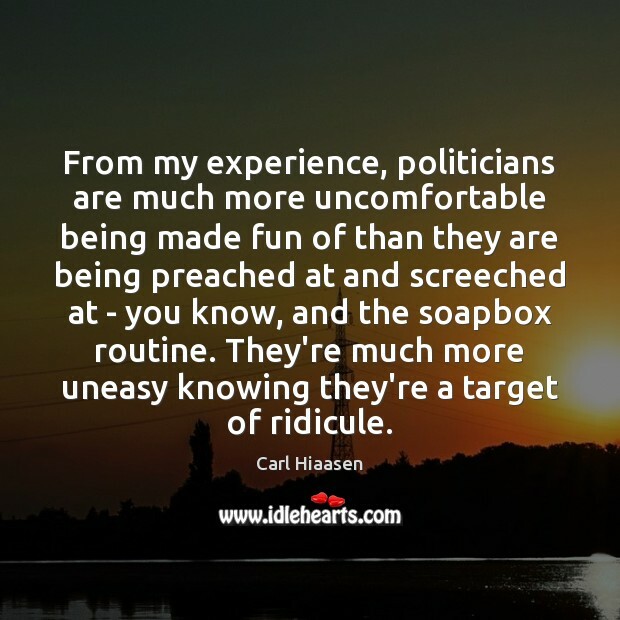 From my experience, politicians are much more uncomfortable being made fun of than they are being preached at and screeched at – you know, and the soapbox routine. 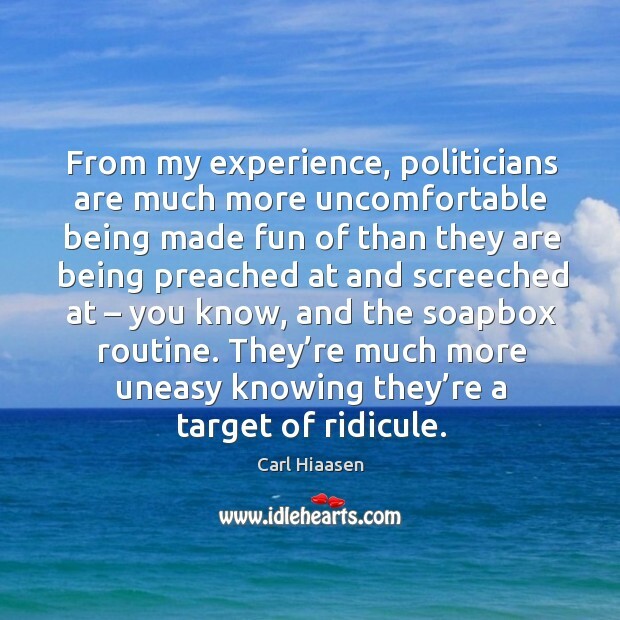 They’re much more uneasy knowing they’re a target of ridicule. 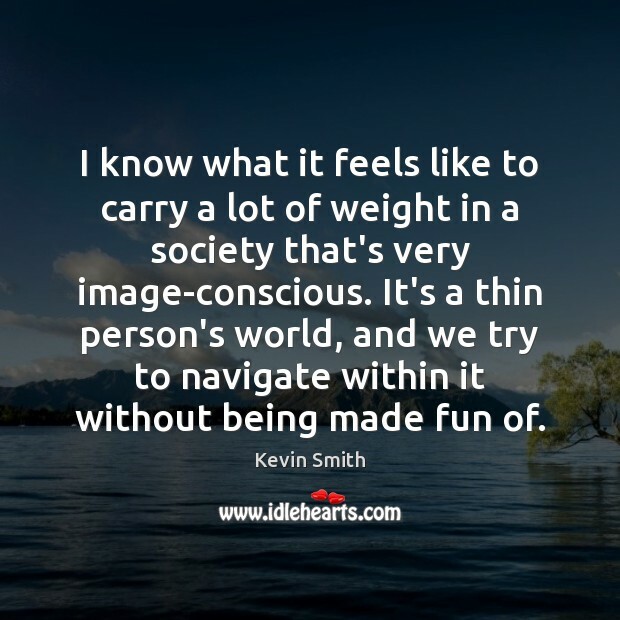 I know what it feels like to carry a lot of weight in a society that’s very image-conscious. 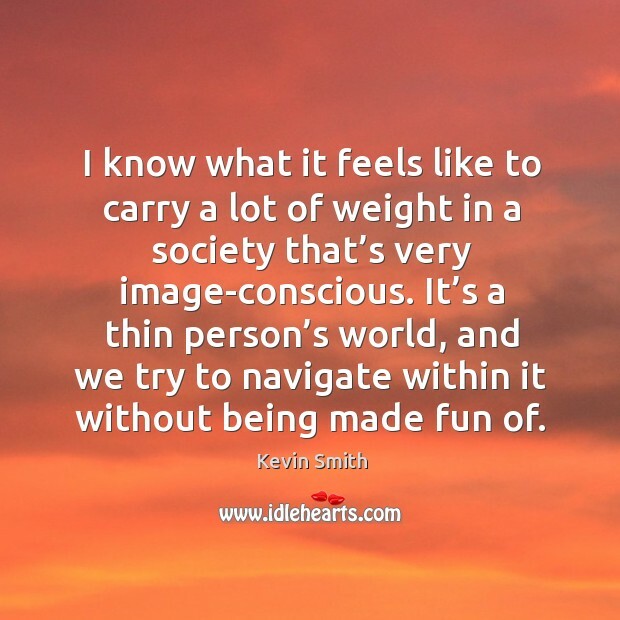 It’s a thin person’s world, and we try to navigate within it without being made fun of.